Gary Bode, CPA is a Master's Degreed, nation wide accountant offering tax and business services. Member of AICPA and NCACPA. Our virtual office provides excellent service to long distance and international clients. Call (910) 840-3858 for a free phone consult. Click here to watch some of our clients in their video testimonials! "If your company could use help from an experienced CFO, Gary's your man." Even though Gary enjoys helping colleagues, we no longer provide free consults to other tax preparers. He's happy to consult on an hourly billing basis if our schedule allows. 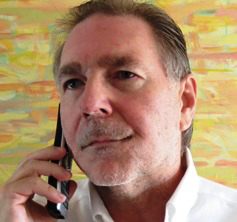 Gary Bode, CPA: I offer a free initial phone consult. (910) 840-3858. Welcome! I’m Gary Bode, a Master degreed CPA accountant with a virtual office to offer world-class service, wherever you live. Thanks for your interest. If you’re looking for a blend of personalized client service, experience, convenience and advanced credentials, you’ve found the right place! I recognize our success depends on your success. Please read any of the hundreds of posts on this website to help gauge my abilities and proactive attitude. We help you keep more of what you earn! A free phone consult to help you decide if I’m the right CPA for you. Amended tax returns. Business. Personal. Payroll. Back tax return services: business, personal, payroll. Business Tax Preparation. Multiple States. Schedule C, Form 1065, Form 1120-S, Form 1120. LLCs, SMLLCs. Form 5500 for our ROBS clients. Partnerships, S Corporations and C Corporations. Individual Tax Preparation. Form 1040. Multiple states. IRS Notice responses. State tax notices. Form 982, Reduction of Tax Attributes, preparation including IRS insolvency and cancellation of debt. ROBS. Turn your pension plan funds into business startup capital. Special interest in Rental Real Estate. Schedule E and Form 8825. Why? My extended family owns rental real estate. Tax audit representation and IRS issue resolution. If my schedule allows. Tax lien removals if our schedule allows. Expert CPA Witness service if our schedule allows. I offer a proactive philosophy and attentive customer service. We work hard to help you understand the implications of your accounting and tax work on the future. CFO of a large regional medical practice. Controller for a construction company and real estate developer. Contributing author for healthcare economic texts. Managing payroll of $320,000+ per month. Over 20 years of tax preparation work. Past tax editor of a national subscription service for Certified Financial Planners. Teaching accounting online for Baker College. Teaching ethics online for Baker College. Teaching QuickBooks online for Baker College. We speak English, not Financialese. For a free phone consult, please call (910) 840-3858. Yes, we do tax returns. It doesn't matter where you're located. Our virtual office accommodates long-distance and international clients. If you don't have a local CPA, distance isn't an issue. For a free phone consult, on most tax issues, call us at (910) 840-3858. Gary is quoted on ROBS in the August 4th Newsweek magazine. Pursuant to the requirements of the Internal Revenue Service Circular 230, we inform you that, to the extent any advice relating to a Federal tax issue is contained in this communication, including in any attachments, it was not written or intended to be used, and cannot be used, for the purpose of (a) avoiding any tax related penalties that may be imposed on you or any other person under the Internal Revenue Code, or (b) promoting, marketing or recommending to another person any transaction or matter addressed in this communication. You can't reasonably rely on this website for tax preparation advice. The posts are an overview of the topic at a particular point in time. Tax code changes. Your specific fact pattern affects application of any tax issue. Reading this website does not constitute a CPA-client relationship.